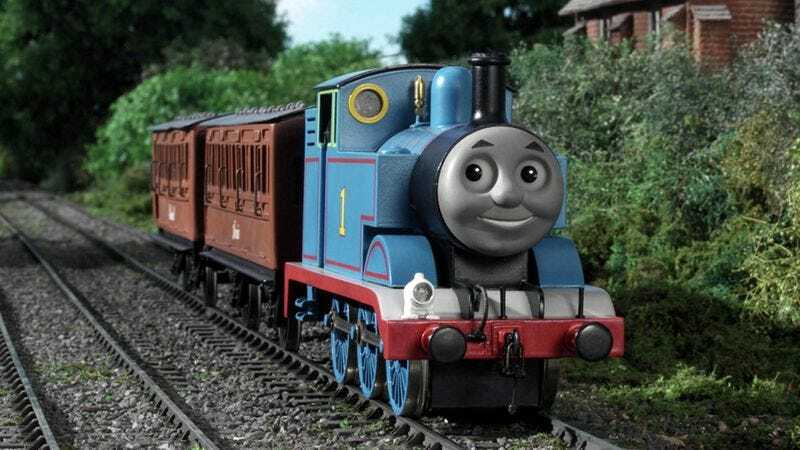 ISLAND OF SODOR—Thomas the Tank Engine told reporters Tuesday that while he's glad trains are a source of fascination and joy for so many children, he often feels uncomfortable with the attention he receives from the autistic fans that make up the majority of his fan base. "Don't get me wrong—I'm grateful that these kids enjoy me so much, but I think the way they're enjoying me is not really so healthy, and honestly not the way I would choose to be appreciated, personally," the anthropomorphic locomotive said between stops on his Mystery On The Rails tour, where he observed that children with autism "outnumber the normal kids by at least three to one." "It would be nice to have some indication that my messages about friendship and sharing are being heard rather than have a pack of totally silent, open-mouthed 6-year-olds stare unblinkingly at my shiny wheels for an hour. It creeps me out." Thomas the Tank Engine's comments come on the heels of the controversy surrounding Sesame Street's Snuffleupagus, who last month incensed gay rights groups after saying that he was confused and somewhat disturbed by his massive, rabid homosexual following.